Limited visiting hours, lack of privacy, and restrictions on movement and physical contact diminish the efforts men and women make to stay connected. Many prisoners are housed far away from their families. The cost of visitation and the inhospitable prison environment may further inhibit efforts to maintain contact. Limited visiting hours, lack of privacy, and restrictions on movement and physical contact diminish the efforts men and women do make to stay connected (Fishman, 1990; Hairston, Rollin, & Jo, 2004). In interviews with 51 men in minimum security prison in Utah and Oregon, 65% of the men reported that they received no visits from their spouse or partner while in prison (Day et al., 2005). The limited time for visitation can place undue pressure on what needs to be accomplished during these brief episodes of communication. Fishman (1990) sheds light on the range and intensity of emotions felt during these visits. Women reported feelings of intense anger, attachment, remorse, and resentment, as well as vicious fighting and passionate reconciliation. 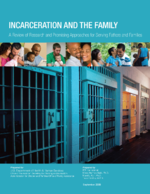 Fishman conducted repeated qualitative interviews with 65 men and 30 of their wives in prison in Vermont to examine the effect of incarceration on men and their families. She found that women’s experiences during visitation varied widely. Some perceived visits as opportunities for renewed courtship, while others found the visits to be stressful and unfulfilling. In many cases, the relationship felt one-sided to the women, who were supporting their partners emotionally and materially but sometimes getting little in return (Fishman, 1990).